WASHINGTON, Nov 8, (Agencies): The United States is determined to push Iranian oil exports to zero, US Special Representative Brian Hook said on Wednesday, through a ‘calibrated’ approach using maximum economic pressure without lifting oil prices. 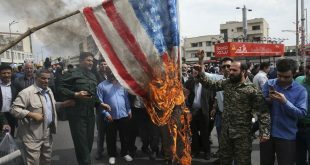 The United States resumed sanctions on Iran’s oil, shipping and banking industries on Monday after President Donald Trump pulled out of a 2015 nuclear deal earlier this year. 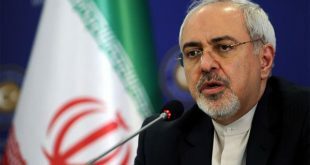 It granted temporary exemptions to eight countries allowing them to continue importing Iranian oil, although it said the ultimate goal is to completely halt exports from Iran. Hook declined to give details of the confidential bilateral deals with the countries, which include China, India, South Korea, Taiwan, Japan, Greece, Italy and Turkey. 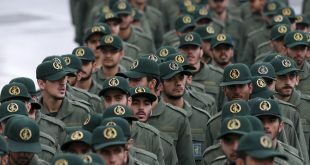 The deputy head of Iran’s elite Revolutionary Guards, Brigadier General Hossein Salami, said on Wednesday that his country can flourish under sanctions and would defeat the United States in the economic war. “We have been very careful about applying maximum economic pressure (on Iran) without lifting the price of oil and we have done that successfully,” Hook told reporters. “We are going to be continuing our path to zero,” Hook said. “We do want to achieve maximum pressure without harming friends or allies and we don’t want to lift the price of oil … We have calibrated this very well.” Iran’s exports peaked at 2.8 million barrels per day (bpd) in April, including 300,000 bpd of condensate, a lighter form of oil. Overall exports have since fallen to 1.8 million bpd, according to energy consultancy Wood Mackenzie, which estimates volumes dropping to 1 million bpd. Oil prices in October rallied above $85 per barrel on fears of a steep decline in Iranian exports and have fallen since then. He said the United States expected increased global oil supply in 2019, surpassing demand, which would better position Washington to ask Iranian oil importers to reduce purchases to zero. 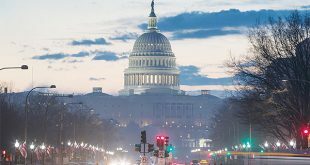 Washington’s “maximum pressure” strategy would also apply to the escrow accounts holding Iranian oil revenues, Hook said, adding that the Treasury Department would ensure that the accounts are never used for illicit goods. “We will police these very aggressively,” he added. 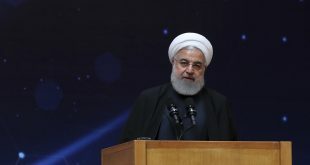 Hook raised the possibility that countries and port operators could face US penalties for facilitating Iran’s “illicit activities” if they allowed Iranian ships access to international waterways and port facilities. Zanganeh claimed the Trump administration may have been able to “superficially” bring fuel prices down ahead of the US mid-term elections this week but that there’s bound to be a hike in prices in the future. The United States on Monday reimposed oil and banking sanctions on Iran that where lifted under the 2015 nuclear deal but granted waivers to eight major importers to continue buying Iranian petroleum products without penalty for another six months. Also Thursday, Iran’s representative to OPEC, Hossein Kazempour Ardebili, claimed that Russia and Saudi Arabia were helping Trump by increasing their own production to keep oil prices low. Trump repeatedly has asked oil producers to pump more crude to lower prices. 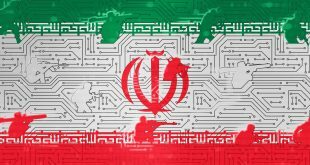 The latest batch of US sanctions severely impacts Iran’s oil industry, the major source of the country’s foreign revenue. Tehran worries OPEC and non-OPEC countries such as Russia will increase their production to fill the gap in response.